Developer: Rufino’s Painting & Construction, Inc. This case study features an historic renovation of a Bracket Style shotgun house in the Holy Cross neighborhood. The Bracket Style remains one of the most popular architectural styles in New Orleans architecture that flourished from 1880 to 1905. The defining feature of this style are the brackets supporting the gable-on-hip roof overhang. The brackets, constructed of cypress, are found in the mill-work catalogs of the late 1800’s. Cap-molded cornices sit on top of the simple bays in the facade with operable louvered shutters on each side and cast-iron soffit vents. Bracket Style features are a blend of Late Victorian elements, stained glass doors & attic windows, weatherboard, Italianate brackets, and sunburst patterns on roof. Corners decorated with quoins, turned balusters, decorative roof shingles, and stained-glass embellishments to doors and attic windows were also conducive to the Bracket facades. The brackets, usually constructed of cypress, are found in the mill-work catalogs of the late 1800’s. Cap-molded cornices sit on top of the simple bays in the facade with operable louvered shutters. Proposed #historic renovation of a Queen Anne Style #cottage in Uptown New Orleans. The Eastlake Style spindles and ornament are particularly noteworthy on the front porch. The design uncovers the original side gallery and added a new gable on the side of the home to complement the original gabled roof lines. The home was built c.1894-1900 by a local developer. Eastlake is a style within the Victorian era. ( 1837 – 1901 ) It came into vogue during the late Victorian era. The house pictured here is a Queen Anne Style Cottage with many Eastlake details. It was built late in the Victorian period, so having Eastlake in the mix makes sense. Eastlake style of Queen Anne architecture was named after Charles Eastlake (b.1836 – d.1906), an English author whose ideas about design influenced American home builders. Eastlake Queen Anne cottages are generally smaller in size and they traditionally have more ornamentation and detail. 10 STEPS TO CONSIDER WHEN ADDING A SECOND FLOOR TO YOUR HOME. 1. The first step is to hire an experienced architect to find out everything there is to know about adding a second floor to your. Regardless of what your dream entails, all major remodeling projects can benefit from the expert design help of an experienced, licensed architect. Go into the meeting with some designs, floor plans, sketches, and talking points. Be certain about what you want. This will help you prepare for an in-depth discussion about home addition possibilities with your architect. 2. Second stories add significant weight to the original structure and foundation of your home and perhaps it was not designed to support the additional loads. A structural engineer must come and inspect your foundation. Your architect can arrange for the inspection through his engineering consultant. This is a very important step in the process to ensure the existing foundation is built properly and can support the weight of a new second floor. The structural engineer will be able to inspect the foundation/slab to determine its levelness and ability to carry additional loads without failing. If the foundation is not adequately designed to support the additional loads then the architect and engineer must design reinforcements to carry the added weight. 3. Once the determination is made to either reinforce the foundation or it is found to be properly designed to support the new second floor then your architect can proceed to prepare a needs, cost, and design options assessment before starting any detailed plans. An architect will evaluate needs, desires, and will help establish a budget with reasonable contingencies to cover for unforeseen conditions and expected delays. He will create a design that’s sensitive to the architectural style of your existing home and scaled to the proper proportions. 4. Make sure your project meets building code and zoning requirements. It’s the architect’s job to design the project to satisfy building codes and meet specific structural demands. And striking that balance between aesthetic beauty and structural safety is no easy feat. Why? Because it requires a vast knowledge of various building materials and construction techniques. Hiring a pro makes sure your renovation plays by the rules and avoid as much possible hiring unlicensed low-cost service providers who are just after a few quick bucks. An architect plays and vital role, will add value to your project, and are experts at seeing not only the big picture, but also managing the hundreds of tiny steps between concept and completion. 5. Once the project’s requirements and parameters defined your architect can prepare detailed plans with the engineer’s input along the way. The engineering involves analysis of your slab and need for strategically placed underground piers inside and around the perimeter to assist in carrying the additional loads. 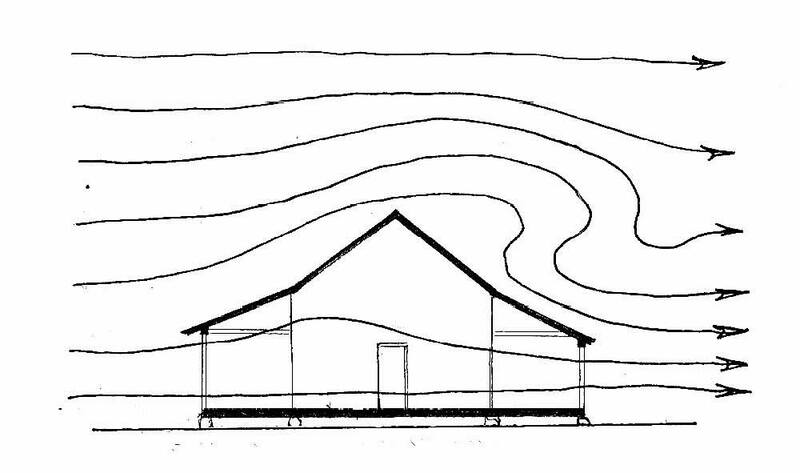 A similar analysis has to be done if your home is built on a “pier and sill beam” foundation up off the ground. Critical structural details like beam sizes should all be spelled out in the plans before you get any estimates. The City and an experienced remodeling contractor will both need this information in order to process a building permit. 6. There is more demolition (of roof systems for example), there is a lot more interruption and re-working of the plumbing, electrical systems, and A/C equipment in your attic and walls; the addition of stairs in the house always requires significant changes in the downstairs space, a factor often overlooked in the beginning stages. 7. Find a reputable contractor. You need a contractor with strong experience knocking out structural walls and tying into existing mechanical systems. The most experienced contractors have certifications in remodeling and construction. 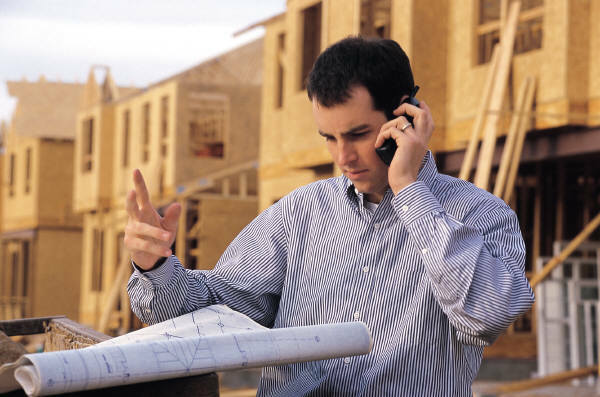 Instead of wasting time parading several contractors through the house, use your time wisely to ask the right questions over the phone first , to narrow it down to 1 or 2 companies to come do site visits. Then your architect will assist you in selecting the one you think is the best fit for you by evaluating bids and will help you negotiate the project from there. A skilled remodeler can even help you cut some cost out of the project if need be. 8. Getting A Building Permit can be a frustrating process for your second-story addition. Always remember that second story home additions need to be cleared with your municipality. The building department will often need a certification as part of the building permit process to determine if the structure and slab is adequately designed to support a second floor. Zoning requirements may have height and floor area ratio (FAR) limitations that your architect can help you interpret through a needs and options assessment. 9. Hire an architect to oversee construction and to administer the contract for construction. Your architect will make sure that the work is being done in accordance with the plans approved by the City. Working to protect your interests, the architect will act as your eyes and ears in the field and will immediately report any deviations from the plans to you unless the contractor has received prior approval from the homeowner in writing regarding any changes in the scope of work and approved design. If a problem should arise–which often happens–the plans will act as a record of what should have been done, and the architect will find a solution without compromising the design, your needs, or your wallet. 10. Clean the house and temporarily move out. Those who undertake a second story addition will probably have to move out for a period of time while the contractor works on the home. You must plan ahead for to find a comfortable place to lodge, either with an accommodating family member or friend while construction is taking place. When the builder is ready to start construction of the remodeling project for your second story addition, he is literally going to raise the roof. That means the attic needs to be cleaned out since it will be fully exposed to the elements, debris, etc. You have to remove everything above the first floor and protect your furniture below. Plan ahead and allow yourself enough time to sort through those items that need to be disposed of and need protection. It might be useful to rent a storage unit, such as a Pod, during the construction to store fine furniture and delicate items. These are the real facts about second story addition work. It is always good to go into these adventures with your eyes open, armed with realistic information, and an architect at your side. Adding a second story to your house is a major remodel. Take the time to plan carefully, ask questions, and prepare your home and your family for this big step. Can you extend outwards to gain some more space without encroaching the zoning setback lines? How high can my second story ceiling go without violation the height limitations? How deep and how wide do my stairs need to be? How can I maximize natural light flow? Can I plan according to the views? What can I do to make my new upstairs level feel bigger? Is the design structurally sound, particularly the foundations and walls? Can a stairway be practically added? When you add a second floor to your home, you will likely want to make changes on the main floor. You probably have one or more bedrooms that will move upstairs, so what do you want to do with those rooms once they are vacated? Do you want to create a larger space by knocking down walls? Could you use more room in the kitchen? And how will the addition of a staircase to the second floor impact the current layout? A second story addition does more than create more space. It demands that you put more thought into the rest of the house, so discuss the possibilities with your Architect. In 1994, Roland & Jeannette Arriaga, a husband and wife architectural team, established Archi-Dinamica Architects, LLC. The firm specializes in custom residences, historic building additions & renovations, mixed-use projects, and construction management. We believe that good design is thorough down to the last detail and makes a difference. Our practice focuses on essential aspects and ordering principles to improve and add intellectual and material value, thus, increasing comfort, satisfaction, and fulfillment of its user. To break down the complexity of building projects, building and home owners will reduce the number of frustrations with a basic understanding that design and construction projects involve several steps before they make the decision to build, renovate, or add on. Typically, projects go through the following six phases. However, on some projects several of these steps may be combined or there may be additional ones depending on the complexity of the project. ( see figure 1 below). The Client and Architect discuss the requirements for the project (how many rooms, the function of the spaces, etc. ), testing the fit between the Client’s needs, wants, and budget. The Architect prepares a series of rough sketches, known as schematic design, which show the general arrangement of rooms and of the site. Some Architects also prepare models or basic computer generated renderings to help visualize the project. The Client approves these sketches before proceeding to the next phase. Once the Client has approved the design, the architect prepares detailed drawings and specifications, which the contractor will use to establish actual construction cost and build the project. These drawings and specifications become part of the building contract. The Client selects and hires the contractor. The Architect may be willing to make some recommendations. In many cases, Clients choose from among several contractors they’ve asked to submit bids on the job. The Architect can help you prepare bidding documents as well as invitations to bid and instructions to bidders. While the Contractor will physically build the home or addition, the Architect can assist the Client in making sure that the project is built according to the plans and specifications. The Architect can make site visits to observe construction, review and approve the Contractor’s applications for payment, and generally keep the Client informed of the project’s progress. The contractor is solely responsible for construction methods, techniques, schedules, and procedures. What you need to know about the building permit process. Hire an Architect to help you navigate through the complex plan review process. The law requires that your project be prepared by a licensed architect to apply for a permit. Over the last 30 years, the permitting process has changed. Planning and zoning regulations have become more complex and building codes have become significantly more restrictive and the construction atmosphere has become more problematic. Failure to comply with local codes can lead to faulty construction or expensive fixes to correct the mistakes. That is why it becomes ever so important to hire an architect from the onset of a project to help you navigate through the quagmire of building code and zoning regulations applicable to your project. An architect can help you get through the process faster because he or she already have existing knowledge of the local codes and processes that you need to get your permits. Building codes are not going to get any simpler, and jurisdictions will enforce these regulations relentlessly. The solution is to build more time into the project schedule for permit review and necessary approvals from neighborhood associations, historic and conservation district departments. After having established the objectives and the restrictions affecting the project, coming up with design solutions, preparing the Construction Documents, the drawings are issued to the reviewing jurisdiction with a permit application. It can often take between 2 weeks for a simple project to over 9 months to obtain a permit for a large project. This lengthy review process is caused by understaffed building departments and large backlogs of projects to be reviewed. Today, the scope and extent of the building codes regulations is much larger. Not only does it take longer for architects to prepare the more extensive documentation that is required to demonstrate compliance, it takes longer for the plans examiners to do their jobs. An architect is familiar with the permit process and can aid in streamlining the plan review process by helping owners navigate through each review department. There are numerous review and planning departments that a project must be reviewed by and that creates a lengthy permit process. The most important are the city plan review department, the historic district committee if applicable to your project, a design advisory committee if your project is within a character conservation district or zoning overlay area, the state fire marshal’s office if it is a commercial project, and others. An architect working with these plan review agencies in parallel can save lots of time and money rather than doing one at a time. Having an architect on your side who has a good relationship and familiarity with local building code enforcement officials and the permit process is the most effective way to ensure that permits are expedited. An architect will tell you what it will take to permit your project, how long, what applications and what the projected permit costs will be. 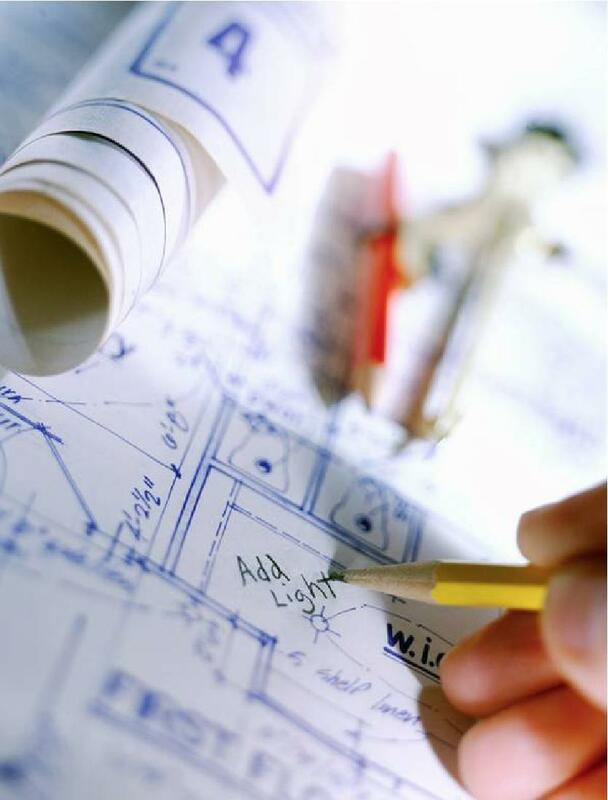 You must submit plans prepared by an architect for any new construction or for an addition or alteration to an existing building for both residential and commercial projects. As soon as you start thinking about your new construction hire an architect. The sooner an architect can begin coordinating and stream-lining the construction permit process the faster you can begin construction. When an architect manages the building permit process from the beginning, the sooner you will receive a building permit. An experienced architect can ensure that your building permit will be ready to issue expeditiously and without delays. In most cases, architects will be the most knowledgeable about building codes in your municipality. Architects make sure that building code criteria become part of the plans before applying for a building permit. If you are thinking about building, make sure you hire a licensed architect to help you navigate through the complexities of the permit and plan approval process. An architect can help you save time and money. Design-build is an integrated approach that delivers design and construction services under one contract with a single point of responsibility led by either an architect-builder or general contractor. Design-build is more streamlined than the traditional method known as design-bid-build, where design and construction were clearly separated. Historically, construction projects were delivered by design-build method with the Architect in charge. The architect was called the master builder and had overall responsibility for the project, both the design and construction. 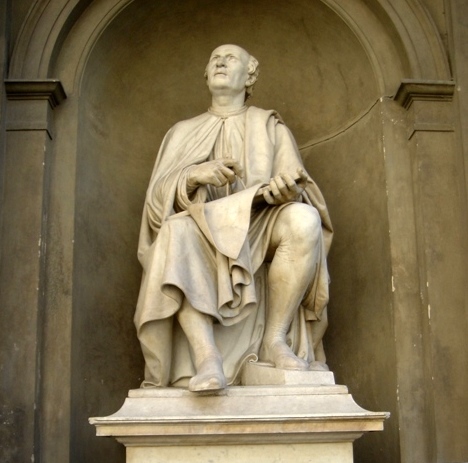 The master builder model was used in the construction of cathedrals and important buildings before the Renaissance in Europe and the central figure from design through construction was usually the architect who held total project control and accountability. However, as the legal climate has become more adversarial, design professionals have retreated from responsibility for construction, carving out the ever-narrowing niche that they now occupy. Today, the design-build system is a return to some of the fundamentals of the master builder concept and is fast becoming the preferred method of delivery. Better control of project budgets, schedules and overall project quality, including the quality of design. Communication is direct between the architect and client without the intervention of a third party. Using the traditional method of Design-Bid-Build, a complete set of drawings and specifications must be fully drafted, then issued for pricing from all of the various trades. Only at this time can the true cost of the project be determined. Quite often, the drawings result in cost overruns and need to be rethought, redrawn, and once again submitted for pricing. This method often leads to frustration, lost time, and additional design fees. Using the Design-Build approach, the preliminary design is prepared by the architect first. Then the project cost is determined. This method involves the various trades to establish costs in the design phase. At this stage value engineering is performed and the architect compensates for potential material shortages and scheduling requirements.The budgetary cost controls the balance of the design process and ensures that the drawings accurately reflect the requirements, budget and schedule of the client. Architect-Led Design-Build offers the client a higher-quality service and product than is found with a separate architect and builder. Whenever possible, we encourage our clients to strongly consider the design-build process for project delivery. 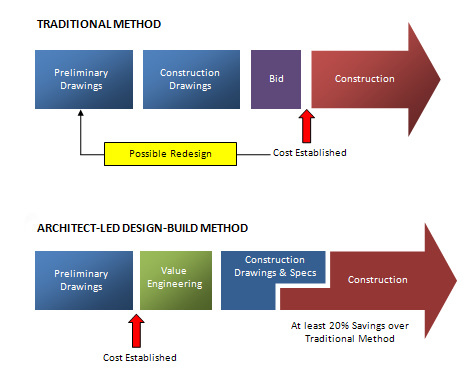 Because bidding, value engineering, and design happen simultaneously under design-build, a fixed cost for the construction of the project can be determined at the same time the design of the project is completed and value engineering decisions are immediately made based on current market conditions. This allows the owner to immediately enter into an agreement for the construction of the project with the architect as general contractor. There is no need to endure the lengthy bid process under traditional design, bid, and build scenarios because all of the bidding for the project is completed during the design phase. When the architect is the contractor communication with the client is direct during construction. Communication with consultants, subcontractors, suppliers, and local authorities is also direct between the architect-builder and the parties. In addition, as the contractor, the architect has the benefit of having the information needed to act on many issues, without having to confer with the client. This is turn reduced turnaround times for decisions and minimizes the chance of miscommunication or misunderstanding thereby reducing exposure to change orders and legal action. Architect-Led Design-Build is quickly becoming the delivery method of choice for a wide variety of project types. From the simplest single family residential projects, to the most complex commercial projects, Design-Build has proven to be a reliable way to fast track projects and achieve maximum value for project owners. Because the process allows multiple tasks to run simultaneously, instead of sequentially, it gets projects out of design and under construction quicker. Because the project team has been working together since the beginning of design, communication during construction is more efficient. Because the Architect has been involved in the design process, he is less likely to encounter unanticipated problems with the project during construction. Finally, because the project was bid during the design process, design decisions are made based on actual, current, market conditions, thus allowing maximum opportunity to meet project budget with the best possible design for the project. Ultimately, an architect-led design/build team will render the best results for everybody involved. Whether it’s a team of independent design-build professionals or one integrated design/build company, this approach to team building and project leadership becomes a win-win situation for everyone involved, particularly the client. New Orleans is considered home of the shotgun house. 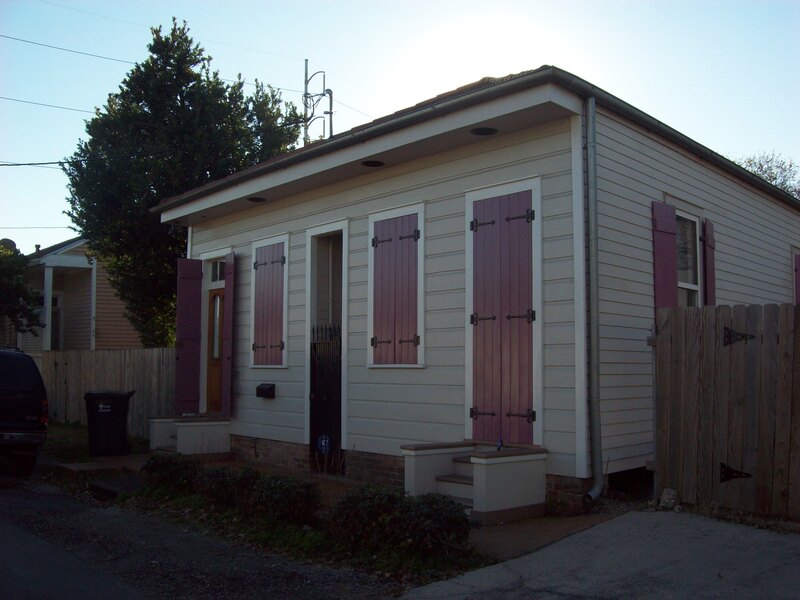 Shotgun houses were built from 1830-1910 and are the most common housing style throughout New Orleans. Tradition has it that if you fire a “shotgun” through the front doorway of this long, narrow home, the bullet will exit directly through the back door. The name “shotgun” may have originated from the Africa’s Southern Dahomey Fon area term, to-gun, which means, “place of assembly” or “shogun”. In West Africa “shogun” means “God’s House”. The description, probably used in New Orleans by Afro Haitian slaves, may have been misunderstood and reinterpreted as “Shotgun”. 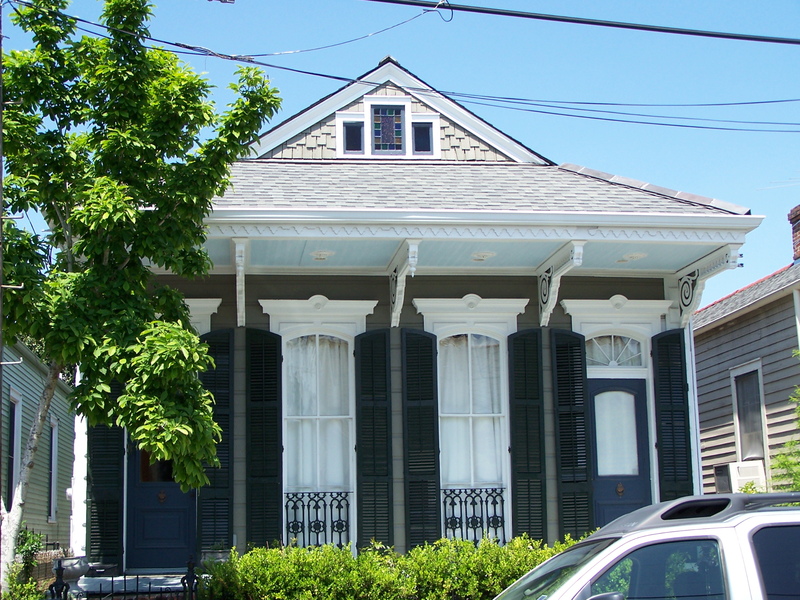 Research indicates that the style can be traced from Africa to Haitian influences on house design in New Orleans. 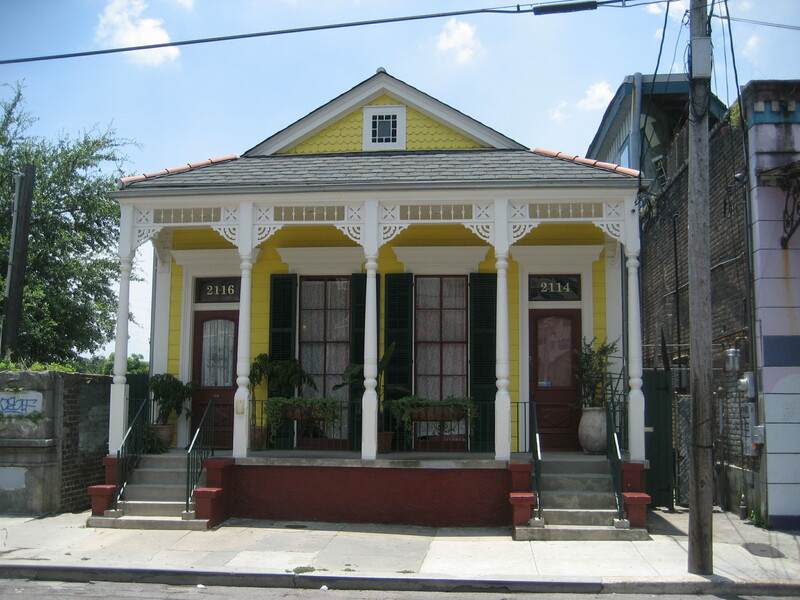 Closely associated with New Orleans and Creole culture, shotgun architecture is now recognized as an African-American contribution to American architectural styles especially in the City of New Orleans. The porch on the front of these houses was quite distinct from French homes whose outdoor areas were actually interior courtyards. The front porch on shotgun houses supported interconnection between people and gave neighbors a strong sense of community. It is theorized that the shotgun style was developed as housing built by and for slaves in the early 1700’s in the West Indies with roots in West Africa. In Haiti, enslaved Africans took the architectural form common to their homeland and used local materials to build narrow buildings with gabled entrances, stucco walls, thatched roofs, and shuttered windows for privacy. When Africans in Haiti revolted in 1791, many European plantation owners fled to New Orleans, taking with them enslaved Africans. Free people of color migrated to New Orleans as well. This migration from the Haiti had a profound effect on the demographics of New Orleans where the black population increased. In 1810, the population of New Orleans was approximately 1/3 white, 1/3 enslaved Africans, and 1/3 free people of color, most of who had come from Haiti. Consequently, this caused a housing boom and as many of both the builders and inhabitants were Africans by way of Haiti and historians believe it is only natural they modeled the new homes after ones they left behind in their homeland. Many surviving Haitian dwellings of the period resemble the single shotgun houses of New Orleans. The city became the center for the style, and it spread throughout the South in both rural and urban areas until the early 1900’s. Usually one-story, three to five rooms in a row with no hallways, but many with second story set at rear of house called camel-back shotgun. Shotguns are narrow rectangular structures raised on brick piers usually covered with a hipped roof on all four sides. Most have narrow front porch covered by a roof apron and supported by columns and brackets, often with lacy Victorian Era ornamentation. 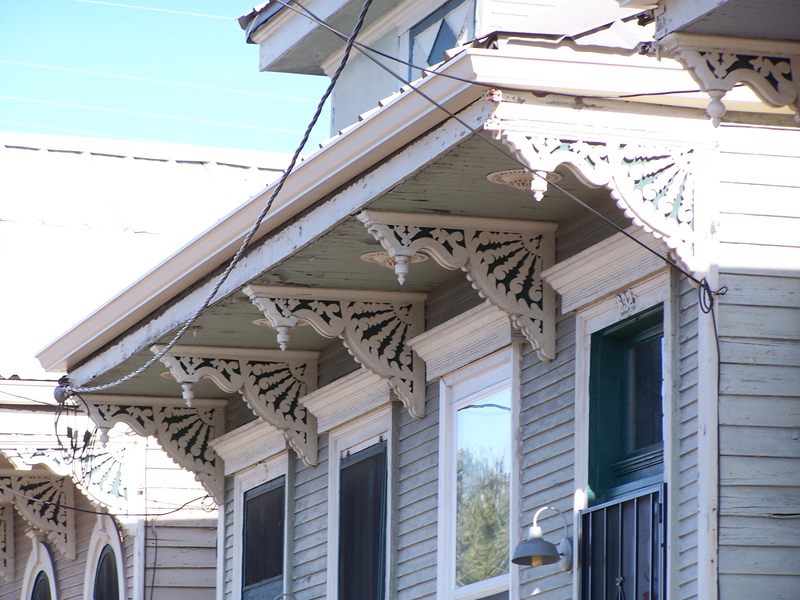 Shotgun houses have a variety of decorative elaborations complete with ornate combinations of cornices, eave brackets, spindles, and intricate moldings that are only found in New Orleans. The New Orleans housing taxation structure contributed to the design of the shotgun in its region. The shotgun utilized a minimized lot frontage, when taxes were based on lot frontage, then when that was subverted by non-taxable second floor additions of space AKA the “Camel-back”, the tax was shifted to number of rooms, which equalized the taxation per square footage within a property. Consequently, neither design contains closets or hallways, which were counted as rooms. The rooms are well-sized, and have relatively high ceilings for cooling purposes, as when warm air can rise higher, the lower part of a room tends to be cooler. The lack of hallways allows for efficient cross-ventilation in every room making it well-suited for hot climates because one can open the front and back doors, and the breeze will flow through the entire house, and the porch provides shade for outdoor visiting. Early shotgun houses were not built with bathrooms, but in later years a bathroom with a small hall was built before the last room of the house, or a side addition was built off the kitchen. Some shotguns may have as few as two rooms. Chimneys tended to be built-in the interior, allowing the front and middle rooms to share a chimney with a fireplace opening in each room. The kitchen usually has its own chimney. 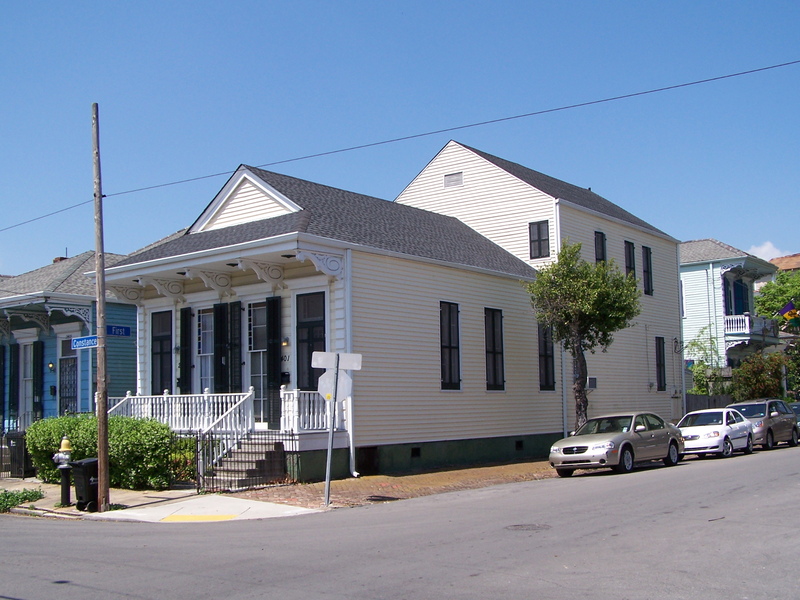 Shotgun houses come in three principal shapes: the Single Shotgun, the Double Shotgun, and the Camel-back . Each shape has several variations which allow for additional features and space, and many have been updated to the needs of later generations of owners. The oldest shotgun houses were built without indoor plumbing, and this was often added later in a sometimes crude fashion. Shotgun houses were built-in various sizes and styles and were embellished with elements representing nearly all the architectural styles that appeared in the 1800’s. Highly stylized models were common in the Greek Revival and Italianate Styles. The Single Shotgun is the most typical of this style with all rooms arranged directly behind one another in a straight line without hallways and two rooms sharing a chimney on their common wall. A door and a window or two open to the street or to a small porch. Variations of the single shotgun are a two bay shotgun characterized by two facade openings and a three bay shotgun with three full length openings shown at right. 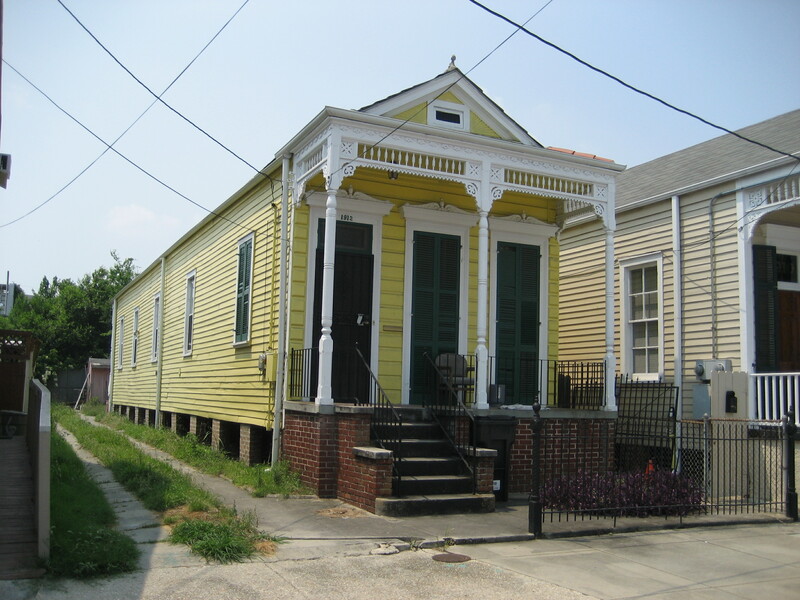 The Double Shotgun, also called double-barrel or four-bay shotgun, essentially two shotgun houses connected to each other and sharing a central wall. The double shotgun requires less land per household than the traditional shotgun and was used extensively in poorer areas known as the “faubourgs” because it could be built with fewer materials and use less land per occupant. Chimneys are most often located at the dividing wall of the house between two rooms. It was first seen in New Orleans in 1854. The Camel-back house, a variation of the Shotgun that has a partial second floor over the rear of the house. Camel-back houses were built in the later period of shotgun houses. The floor plan and construction is very similar to the traditional shotgun house, except there are stairs in the back room leading up the second floor. The second floor contains one to four rooms. Because it was only a partial second story, most cities only taxed it as a single-story house – in fact this was a key reason for their construction. The Greek Revival Style shotgun appeared in the 1830’s in New Orleans in response to the classical movement in the United States at the time. It strongly influenced the design of shotgun houses drawing inspiration from the architecture of ancient Greece. Greek revival houses were characterized by simplicity, i.e, a low-pitched roof concealed by a well-detailed entablature supported by rectangular Greek columns, and adorned with dentils, egg and dart molding, and modillions. 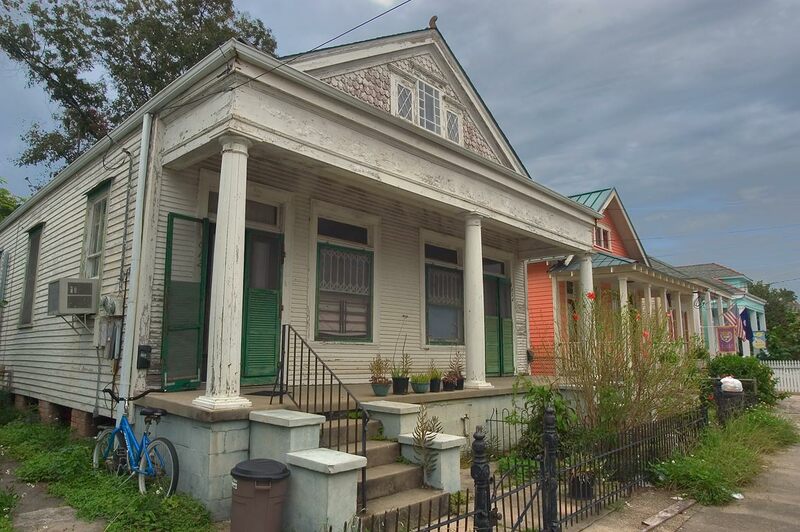 The Italianate Style shotgun house appeared during the late 1850’s in New Orleans after being introduced in the United States by way of England. The Italianate style dominated New Orleans architecture during the 1860’s and 1870’s. It was derived from the Greek Revival Style taking on a more ornate appearance which evolved into the Italianate Style reminiscent of Italian Renaissance architecture and the rural villas of Northern Italy. Italianate shotguns were very ornate and appealed to architects as well as homeowners of New Orleans. It was the style of choice for remodeling houses in the Garden District. Shotguns and camel-backs incorporate elements of the Italianate Style during the late Antebellum Period (1830-1862) and was characterized by low-pitched roofs, a decorative entablature and parapet over the front porch supported by Doric columns and decorative quoins. Decorative quoins were ornamental square on the outer edges of the facade. Windows, double hung type, were fitted with molded cornices on top. Doors were surrounded by deep cornices and paneled pilasters. 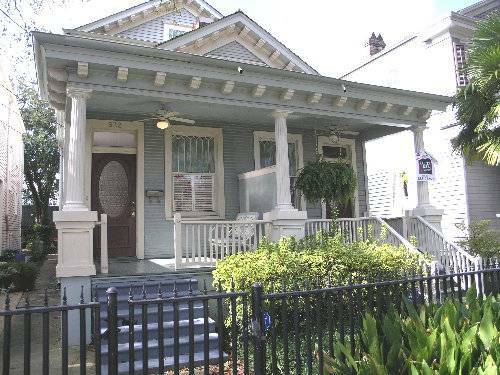 By the 1880 Italianate shotgun houses began to adopt Eastlake and Queen Anne characteristics. Bracketed styles also came into fashion during that same period, overlapping with Eastlake Style. Eastlake Style Shotgun houses came into vogue during the Late Victorian Period in the 1880’s. Named after English architect Charles Locke Eastlake, who popularized the style through his furniture design books, the style was characterized by spindles on the fronts, superfluous roof gables elaborately decorated with a variety of motifs such as sunbursts, fantails, and stained glass gable windows, and turned wood balusters in the shape of table legs on the porches. Many neighborhoods in New Orleans are lined with rows of wood framed Eastlake shotguns on brick piers. Both doors and windows have ornate cornices and porches have turned wood balusters. By this time, Eastlake style shotguns gain popularity and with all this craftsmanship involved in their dressing up, shotguns belonged to the more affluent. 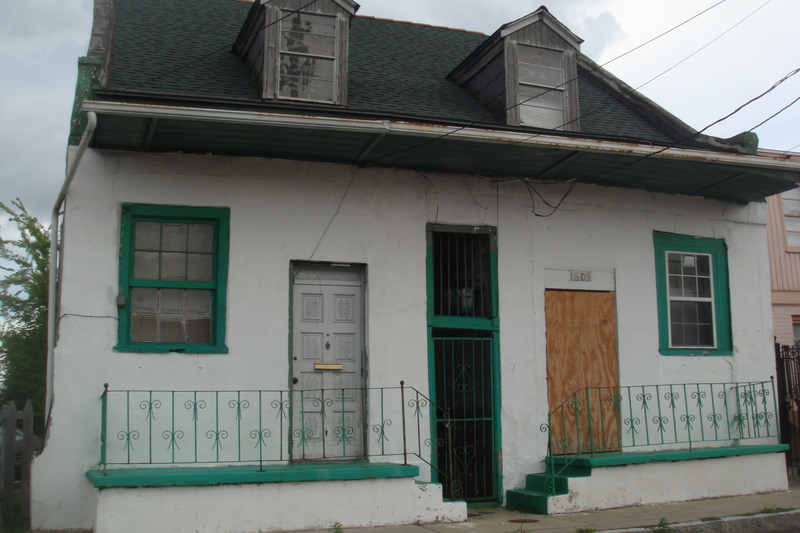 The Bracket Style Shotgun house became one of the most common house types in New Orleans from about 1880 to 1905. 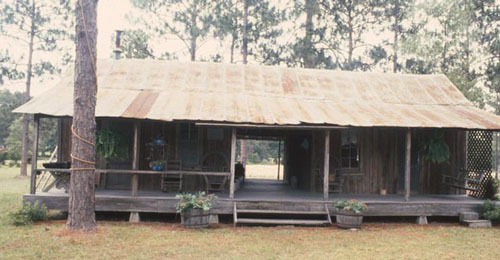 This shotgun style was characterized by large brackets supporting a hip roof overhang and was constructed of wood-frame with weatherboard siding and full length windows on the front. The overhangs varied from two to six feet. The brackets, most often found in the mill work catalogs of the period, were generally constructed of cypress. Bracket style shotguns were built three or four houses in a row and each was painted a different color and the style was a blending of late Victorian and Italianate features . Other elements popular during this period were turned balusters, decorative shingles in roof gables, sunburst patterns, and stained glass in doors and attic windows. Construction and popularity of the shotgun house slow down in the early 1900’s due to the advent of the mass-produced automobile and development of the air conditioning unit coming to a halt after World War II when demand for new suburban ranch style houses with garages and carports increased. The shotgun later became a symbol of poverty during the 1950’s and 1960’s and viewed as substandard housing after affluent homeowners left for the suburbs. This flight out of the city led to the demise and deterioration of shotgun houses which became associated with blue-collar neighborhoods know as the Creole fabourgs in New Orleans.The shotgun’s role in the New Orleans history has now become recognized by historic districts and preservationists as historically important playing a role in the architecture, folklore, and culture of the city. 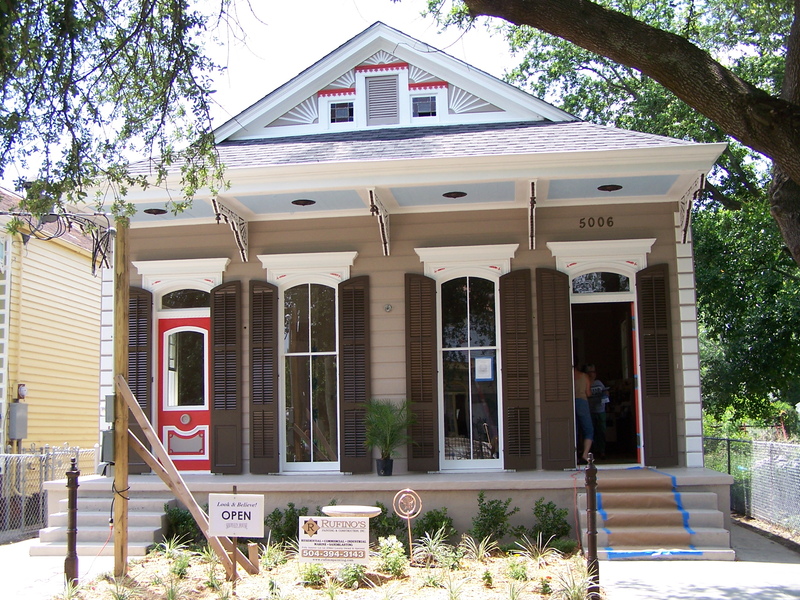 Today, shotgun houses are being preserved because of their historical significance. Properties values have increased as wealthier people began to buy the deteriorated shotguns investing thousands of dollars in improvements and renovations. It can be seen throughout the city especially in low-income areas that were once considered impoverished. The shotgun revival movement begun as these properties began to gain historical significance advocated by the New Orleans Historic Districts and Landmarks Commission paired with the Preservation Resource Center’s incentives extended to homeowners wishing to renovate and make the homes livable and affordable abiding by current housing and building code standards. Toledano, Roulhac B. “A Pattern Book of New Orleans Architecture” . Gretna, La: Pelican Publishing Co., 2010. Vogt, Lloyd. “Historic Buildings of the French Quarter“. Gretna, La: Pelican Publishing Company, 2002. Vogt, Lloyd. “New Orleans Houses: A House-Watchers Guide“. Gretna, La: Pelican Publishing Company, 1985.